Gamification’s impact on contact centers is easily validated. When adequately integrated with an organization’s performance management systems, measuring ROI and value on a year-over-year basis for each KPI and balanced score is a straightforward process. Employee attendance, morale, disengagement, turnover, and overall performance are unique challenges for contact centers, in which wages and employee skill levels are often low (in many cases, due to very high turnover), and the work itself can be stressful and monotonous. Gamification is proving to be an effective business strategy in motivating employees and improving business results for contact centers across every industry sector. 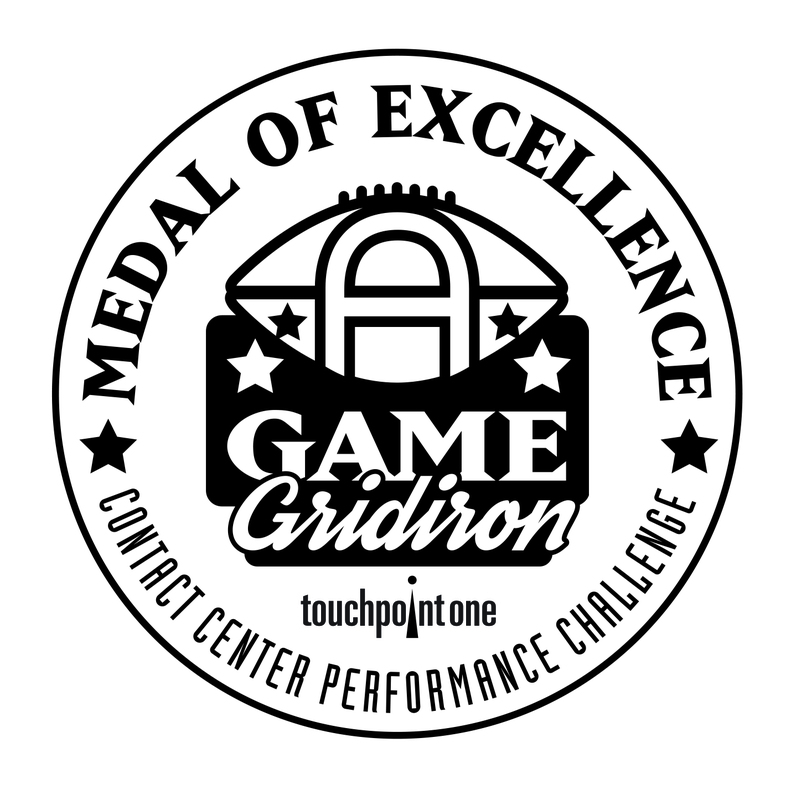 TouchPoint One, the leading provider of employee engagement and performance management solutions for contact centers, recently launched A-GAME Gridiron, its football-themed competition aligned with the National Football League’s regular and postseason timetable. A cloud-based gamification program, A-GAME was designed to leverage structured, league-based competition to inspire, motivate and recognize contact center performance at the individual and team levels. Participation in this inaugural season was high and included more than 3,000 agents across 150 teams in the U.S. and Central America supporting customers among some of the world’s leading brands – Sprint, Duke Energy, Chase, Shutterfly, Pepco, Vectren and Bluegreen Vacations. To recognize participating agents who demonstrated outstanding performance, the Medal of Excellence award was established. Uniquely data-driven, the Medal of Excellence selection methodology reflects both achievement and improvement extending across all corporate A-GAME leagues over the entire season. It recognizes not only skill and experience, but also the ability to perform at progressively higher levels through sustained commitment, focus and effort at both the agent and team levels. The honorees were recognized for commitment to customer care, sales, and service delivery excellence through exemplary individual and team performance across a diverse range of business and customer experience metrics. The business impact of the A-GAME gamification platform is an important aspect of its design. Participating organizations are able to track improvements in balanced scores and specific KPIs such as attendance, quality, retention, schedule adherence, utilization and sales/collections, as well as the range of customer experience metrics. A review of post-season analytics offered a wealth of information for organizations to carry forth in the “off-season.” Here are a few examples of results measured during the three peak months of the A-GAME season. A leading national BPO company experienced 30% attrition reduction resulting in 151 fewer required new hires during the game timeframe – a financial impact of more than $500,000. The same company saw improvement in agent attendance by 4.5%, resulting in a financial return of more than $81,000; and saw utilization increase of the same workforce by 1.1% equating to a financial impact of $35,000. They realized a dollars collected increase of 17.9% for one customer equaling greater than $39 million in additional revenue. A Fortune 1000 utility company experienced efficiency improvements led by a 13.3% decrease in AHT and a 31.2% reduction in call Wrap/Hold time while Quality and FCR remained stable. The average Balanced Score for a major receivables management outsourcer improved by 7%. Specific KPI included in the balanced scorecard included attendance, utilization, dollars collected, calls handled, quality and percentage to goal. A leading vacation ownership marketing, sales and hospitality company realized balanced score improvements ranging from 2.5% to 32% respectively across four distinct customer service groups. All participating companies saw a decrease in average handle times (AHT) while customer experiences remained stable or improved. TouchPoint One is the leading provider of employee engagement and performance management solutions for contact centers. The Company’s Acuity product is a full-featured contact center performance management solution that enables improved decision making, talent development and process execution at every operational level. TouchPoint One A-GAME and its other contact center employee engagement solutions deliver the rich benefits of gamification through innovative design and complete, functional alignment with business processes and strategies. 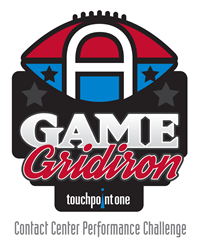 TouchPoint One, Acuity and A-GAME are registered trademarks of TouchPoint One, LLC. All other registered or unregistered trademarks are the sole property of their respective owners. © 2016 TouchPoint One, LLC. All rights reserved.